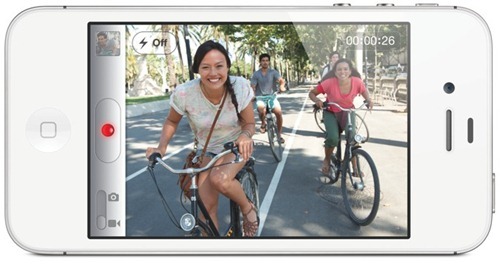 Word on the Internet super-highway is that Apple neglected to raise the amount of memory in the upcoming iPhone 4S. 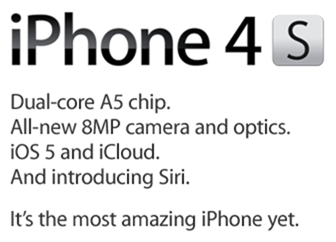 What that means is, the visually-untouched, internally updated iPhone 4S will only come with 512MB of memory. This could potentially mean nothing at all. With the updated iOS 5 and new A5 dual-core processor, the phone may not need an upgrade in memory size. At this point, only time will tell and I am sure there are plenty of people out there who will be quick to let us know. Until then, MacRumors is covering that Infinity Blade developer and AppVV are confirming the 512MB-RAM rumor. With that said, let’s look at it this way; without the memory upgrade the phone could be a complete let down. Depending on what type of user you are you may notice the difference right out of the box! With over 500,000 apps in the App Store, users have the potential to bog their phones down with games and creative apps that will hog the memory like rodeo. When I had my iPhone 4 (two of them to be precise), I encountered low memory more times then I would have liked. That’s not to say that there was a problem with the phone and I am not here to debate Apple vs. Android, I am only pointing out that the potential is there. So why not upgrade it Apple? Why not play it safe? With the continuous decrease in flash memory prices, it just seems to make sense. Apple is claiming that the new A5 dual-core processor will provide up to seven times the graphical performance and twice the general performance over the older A4 chip. With that said, early we released a post where the iPhone 4S was caught on video going through benchmark comparisons against the current iPhone 4. We reported that the iPhone 4S smokes the current iPhone 4. Not bad considering that Apple decided not to touch the memory configuration. With the new iOS 5, new Twitter/OS integration, and updated central notification bar with added widget support dubbed as Notification Center, let’s hope that Apple isn’t shooting themselves in the foot with this "couldn’t have hurt" hardware upgrade that they felt to neglect. I personally look forward to seeing the new iPhone in the wild. And I hope that it continues to deliver the same user satisfaction, especially as this is the most successful iPhone launch to date!